We offer Saturday classes in RAD Advanced 2 and contemporary dance. These are intended for students not currently studying full-time at the School. Class dates and fees are below. New Zealand School of Dance classical ballet classes are for female senior students studying the Royal Academy of Dance syllabus. The weekly classes cover RAD Advanced 2. These classes give students the opportunity to learn together in an extra class as they prepare for the RAD Advanced 2 examination. Males studying at this level should contact Christine Gunn to see if classes are available. 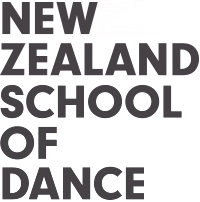 New Zealand School of Dance open contemporary classes are for senior students (age 15 and over) to learn from leading New Zealand dance artists. These classes give students considering full-time study an opportunity to hone their skills in preparation for the New Zealand School of Dance audition, experience the studios and meet some of the tutors. 27 July, 3 August, 10 August, 17 August, 24 August, 31 August, 7 September, 14 September, 21 September.